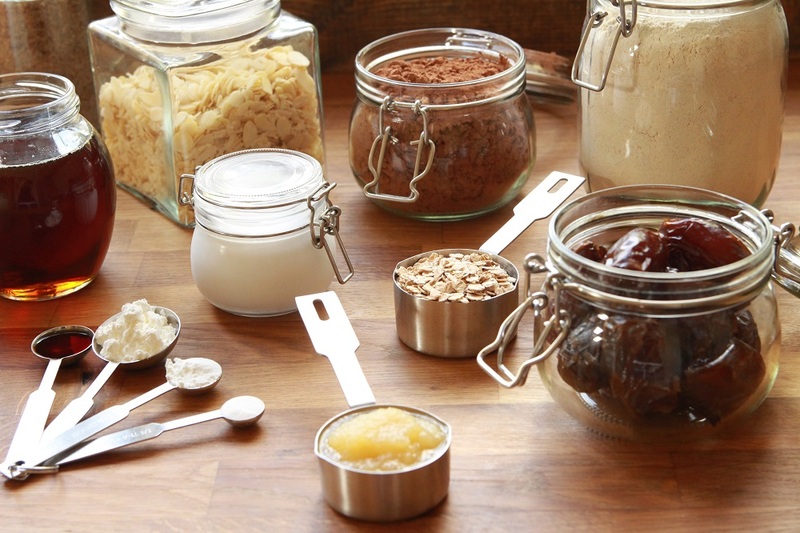 My Go To Baking Essentials + 10 Recipes To Try! How often does it happen when you see a recipe, want to jump into the kitchen to bake it, but you realize you don’t have the ingredients? Well a good friend of mine pointed out that it would be very helpful and useful if I posted my baking essentials. 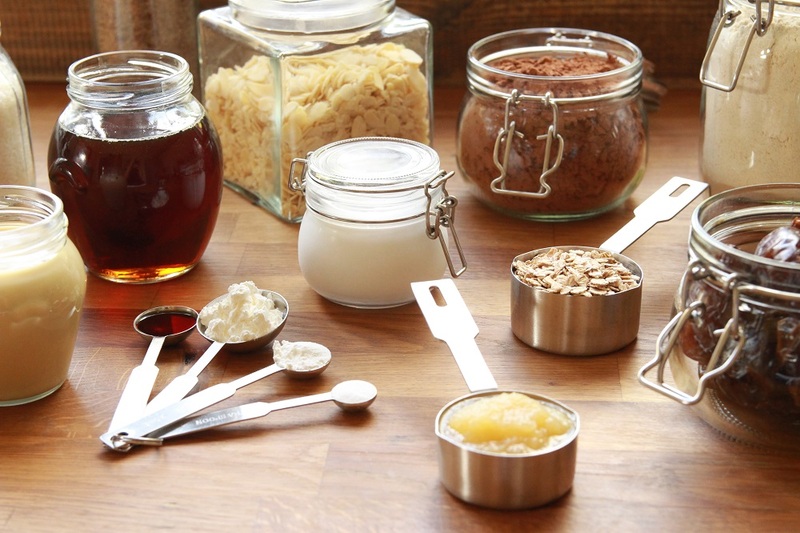 My go to vegan baking ingredients that I use in almost all my sweet treats. So without further ado here’s my baking essentials list and 10 recipes you can make with them! The first one on the list is Ground Flax seed. It’s an excellent “egg” binder which I use in many of my recipes. Opt to buy it in small portions. Grind it yourself at home, but if you don’t own a spice grinder, then simply ask the spice store to blend it for you and keep it stored it in your fridge or better, in your freezer. This is to avoid it going rancid. Next, is another “egg” binder that I use in many recipes. 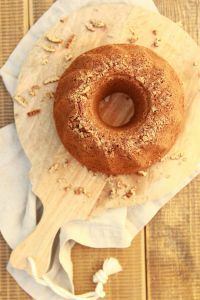 But not only is it a great binder, it also adds a lot of extra moisture to a recipe, like in my moist maple cake. Plus, it can be stored, unopened, in your pantry for up to a year. I like to buy them in small packets as they do need to be used within 5 days of opening. I know, this one is a bit pricey. But it’s refined sugar free, pure maple syrup, and one of my favorite baking essentials! 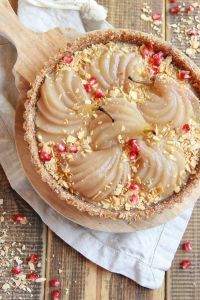 It works well in every recipe, has a pleasant aroma, and taste, and automatically upgrades any dessert. Don’t buy the fake vanilla essence that cost a fraction of the price. In my opinion you might as well just omit it from the recipes if you’re planning to buy the “vanilla flavored” essence. Vanilla essence can last a long time, since you only need a splash. Plus, it can be stored for years in your pantry, and trust me when I say, the real deal tastes like the real deal! Almond butter is one of my ultimate baking essentials. Plus, it’s almost always the perfect oil substitute. It’s the healthier option, and if you own a food processor you can even make your own and save a few bucks. It has that oiliness you’re looking for, and perfectly complements my many no bake and baked recipes. So, as you may know, I don’t use refined white flour on my blog, but find I don’t need to either. Whole Spelt flour does the job just fine, and it’s a healthier, refined free option. Store it in your pantry during winter and fridge during summer. For many of my gluten free recipes I use almond flour. It works well, and tastes amazing. Keep it stored in the fridge during summer, and in the pantry during winter. The reason as to why I store many of my ingredients in the fridge during summer can be found in this excellent article. Oats are technically gluten free, but many of the companies who package them work in a gluten contaminated environment. If you are gluten intolerant then only buy from closed packs that clearly state they’re 100% gluten free. Blend half into a powdered flour, and leave the other half whole, then store in the pantry or better, store in your fridge. Shredded coconut is a very versatile ingredient, and hardly costs much. I use it in many of my raw, no bake treats, and will last you a while! If you have a food processor you can even blend half into a powdered coconut flour, which when used with other ingredients like almond flour and sometimes oat flour, make an excellent gluten free flour mix. Another ingredient is coconut flakes. They go great in any smoothies, granola, and in my delicious no bake chocolate slice bars. Buy a small amount and keep them all stored in your fridge. Another excellent staple ingredient of mine is Coconut Milk. Just be sure to check the ingredients when you buy coconut milk, to make sure that’s what the store is selling you, rather than a bunch of processed ingredients in a can. The ingredients should be made up of coconut and water. That’s it! Another plant based milk I use is organic soy milk. But again, make sure you read the ingredients to know what you’re buying. Aim to buy a gluten free, aluminium free baking powder. They cost a bit more but go a long way, since you only need a teaspoon or so for a called upon recipe. Aim to buy baking soda that was acquired directly from the ground in its natural state. Here’s an interesting article I read not too long ago as to why. When buying cornstarch look for a non-GMO, organic, sustainable brand. It’s one of my favorite thickeners, and can be stored in your pantry for up to a year. Unsweetened cocoa powder adds that chocolate flavor without even using chocolate, and there are endless recipes you can make with it. Store it in your pantry for up to a year. My favorite date! It’s soft, juicy, and naturally sweet. Look out for the discounts, and then buy in bulk, as this will save you a few extra bucks. Store in the fridge, then when a recipe calls for it, simply take the required amount out to soften up. I use these three nuts in many of my no bake and baked treats. Again, store in the fridge during summer, or pantry during winter. This is so they won’t oxidize quickly, and go rancid. 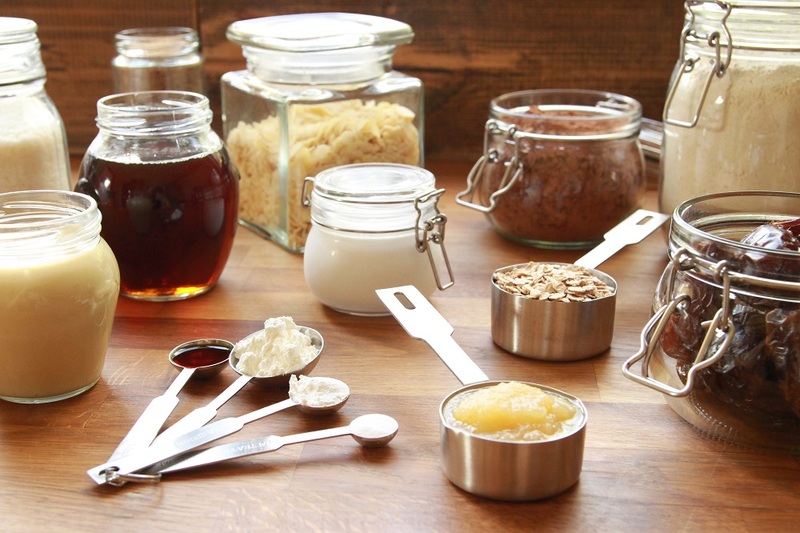 10 recipes you can make with my go to baking essentials! Now that you’ve learnt what my go to vegan baking ingredients are, here are 10 recipes you can try! Such a great compilation!! I have a couple of these missing in my pantry..Need to stock on them soon :).